Dr. Fabiola Medeiros is a pathologist in Compton who completed the residency program at the Brigham and Women's Hospital. She is specialized in Pathology and board certified in Anatomic Pathology and Cytopathology. 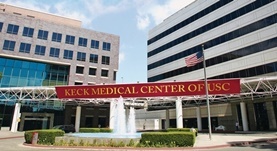 Dr. Medeiros has been in practice for more than 11 years and is affiliated with the Keck Hospital of USC. During her career, she has also contributed to ten publications of clinical interest. Dr. Fabiola Medeiros has contributed to 3 publications. Impact of depth and extent of lymphovascular space invasion on lymph node metastasis and recurrence patterns in endometrial cancer. 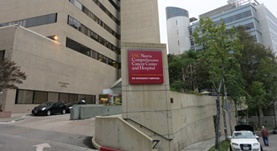 Matsuo, K.,Garcia-Sayre, J.,Medeiros, F.,Casabar, J. K.,Machida, H.,Moeini, A.,Roman, L. D.; J Surg Oncol. 2015 Sep 24. Tolcher, M. C.,Swisher, E. M.,Medeiros, F.,Lima, J. F.,Hilderbrand, J. L.,Donovan, J. L.,Garcia, R. L.,Cliby, W. A.,Dowdy, S. C.; Int. J. Gynecol. Pathol.. 2014 Dec 05. HMGA gene rearrangement is a recurrent somatic alteration in polypoid endometriosis. Medeiros, F.,Wang, X.,Araujo, A. R.,Erickson-Johnson, M. R.,Lima, J. F.,Meuter, A.,Winterhoff, B.,Oliveira, A. M.; Hum. Pathol.. 2012 Jan 10.